Did The Grinch Steal Your Retail Christmas? You are here: Home / Featured / Did The Grinch Steal Your Retail Christmas? Wow, Christmas is over and Retailers are starting to dig out from the carnage. Unfortunately, some of the carnage is all the merchandise that shoplifters have liberated from your store. I believe that theft is actually the oldest vice around. Even older than “the oldest profession”. As long are there are two things on this earth 1-people and 2-stuff, there will be theft. Well, neither is going away anytime soon. So what do we do? The first thing is to make the decision to take your store back from the enemy. Putting the solution off will not fix the problem and it will get worse. The second is to implement the two proven solutions. Training and a Sensormatic system. TRAINING – Over the past 35 years I have heard countless retailers say the same thing. “I don’t know what I can or cannot do with or about shoplifters”. Shoplifters are no different than any other business challenge we face. Attack it head-on. 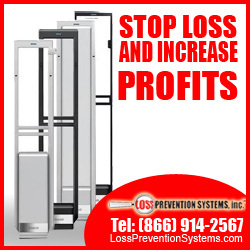 Loss Prevention Systems can educate you on what you can and cannot do. But more importantly, we will take you off the defensive and put you on the offense. Now I know what you may be thinking right now. “I am not going to chase shoplifters down and tackle them!”. Well, I am glad we got that out because we do not want you to do that either. We want to prevent the loss from occurring (that’s why we call ourselves Loss Prevention Systems, Inc. What a coincidence, huh?). 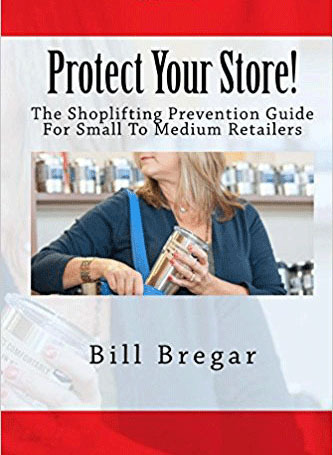 Training should cover a discussion of the problem itself, the law both criminal and civil, who shoplifters are and how to spot them before they even steal, going on the offensive with customer service tactics and more. We do this live via webinar with as many of your folks as you can pull together. I have actually found that most of the time we need to do two sessions so we do not leave the store short staffed or someone misses out. Training will help give you the confidence to attack the shoplifting scourge head-on. SENSORMATIC SYSTEM – “So if I am trained, why do I need a Sensormatic system and Sensormatic security labels?” Great question, glad you asked that! (sorry, I am in one of those moods) Consider this, training is only half of the solution. You and your staff can be trained up in the techniques to prevent and deal with shoplifting but you cannot be everywhere at once, even in a small boutique. Shoplifters WILL create an environment where they can steal. On top of that what you will find is that some of your “best” customers are also actually stealing from you. Yes, that good customer is buying merchandise, either small inexpensive items or even more expensive ones but they are actually stealing other merchandise in addition to that. And because they are a “best” or frequently seen customer less attention is paid to their activities. They are kind of a fixture, they hang out a bit, joke with the staff, ask questions and then…. They are simply not observed because “that’s just Sam or Wendy, they are really nice”. So to handle all that you will find that a Sensormatic system is actually cheaper than additional payroll. In addition to that, the Sensormatic system never takes a day off, does not call in sick or no show. The Sensormatic system is working 24/7. Actually, many of our systems actually power themselves down after you close to save on your energy bill. They automatically wake themselves up when you come in the next day. A Sensormatic system has two benefits. It sends a message to the thieves (real customers do not care) and prevents losses. And, of course, the tags and labels are actually protecting your merchandise and bottom line. So there are no more excuses. Make this year the best yet for sales you make and actually keep the margin make on the bottom line. Grinch, GO AWAY! Contact us today. We can make both Training and a Sensormatic system your reality.